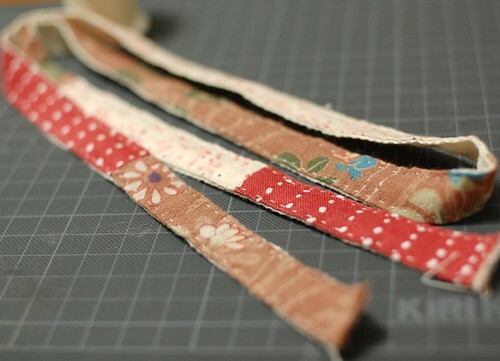 mairuru: How to make a patchwork Lanyard, with fabric scraps. 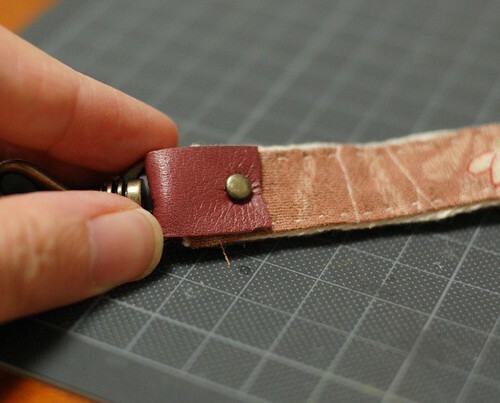 How to make a patchwork Lanyard, with fabric scraps. 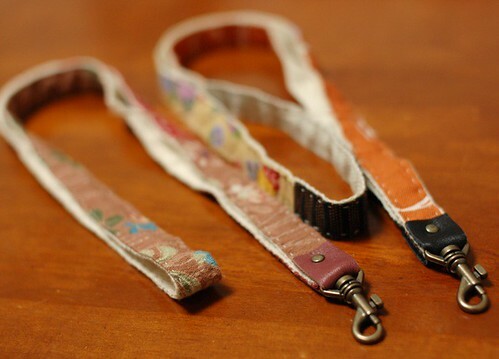 Last week, I made two Lanyards with fabric scraps again. 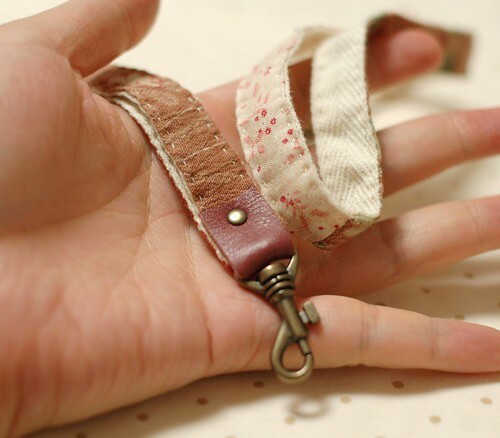 It's similar to my patchwork string, but I put a cotton tape on the back for this. I write here how I made them. I used a piece of leather on it. 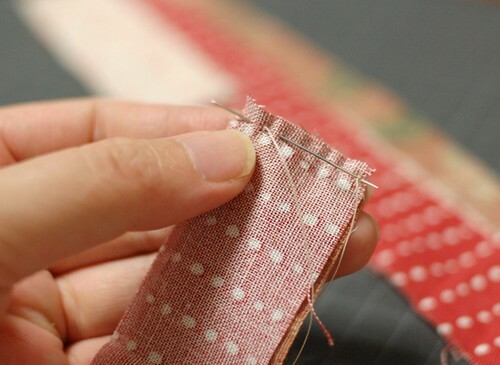 At first, cut your favorite fabric pieces in 3cm(1.2 inches) width, and totally it should be 90cm(1yard) long. 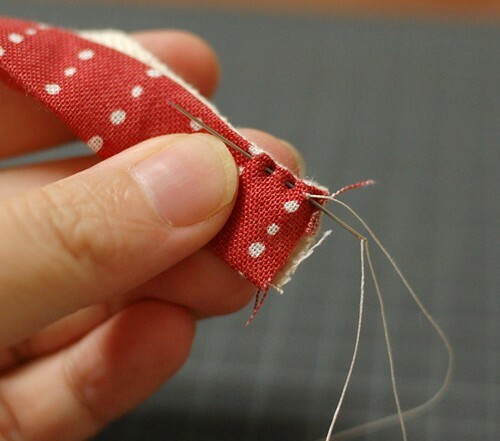 Sew them and cut it in 90cm(1yard) long. Open the allowances and iron it. 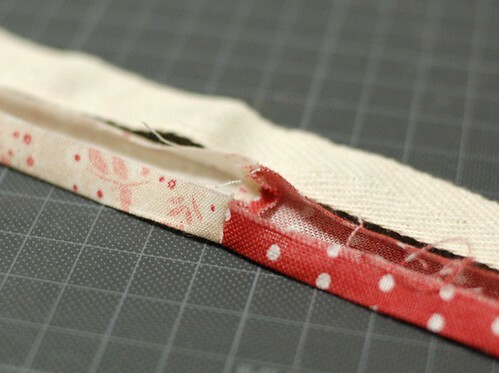 Fold it in the width of the tape and iron it. 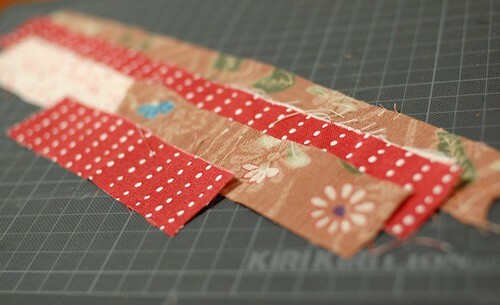 Put it on the tape and sew them together at the both edge lines. 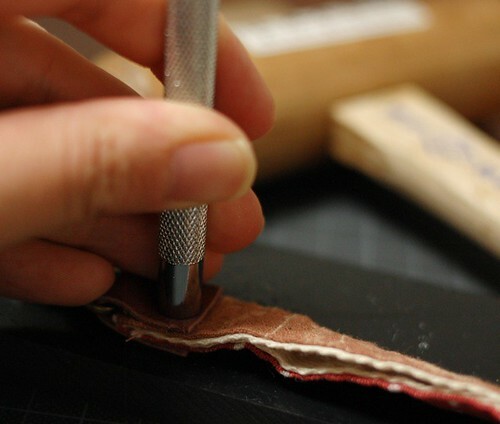 Before putting the leather piece, glue the two ends together. 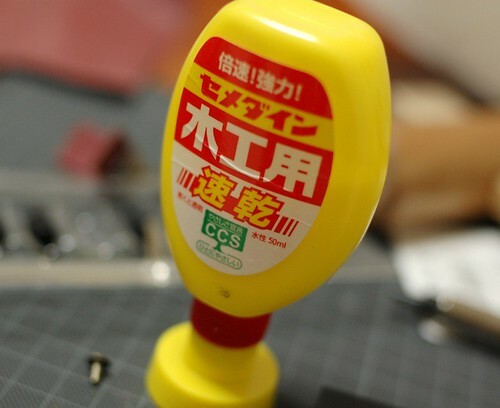 I used my favorite Japanese fast-dry glue. Put it on the one end, and put the other end on it. 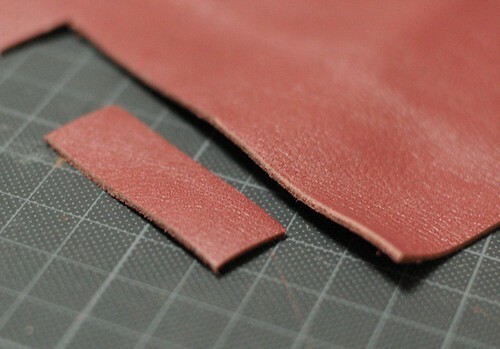 Cut a piece of leather, in 1.5 cm x 4 cm(0.5 inches x 1.6 inches). These are my tools for rivet. 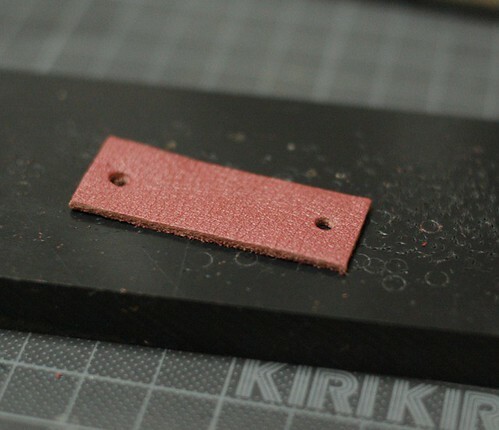 Make two holes 5mm(0.2 inches) from both ends. 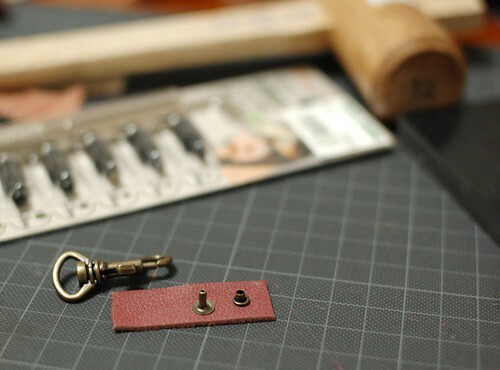 Put a swivel snap on the center of the leather piece and put it at the end of the lanyard. 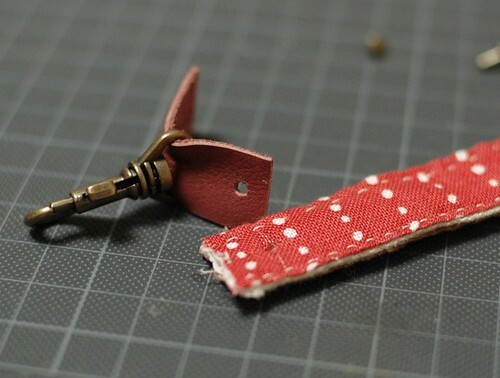 Then make a hole on the lanyard to put a rivet. Put a pair of rivets at the hole, and rivet it. I use this rivet tool and wood hammer. 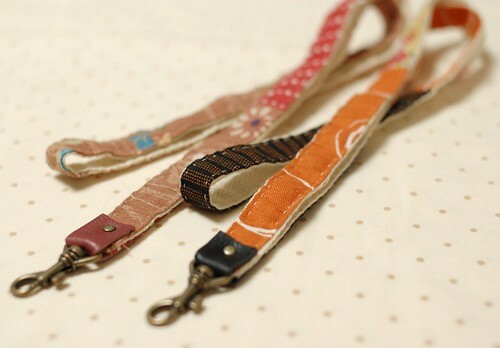 I wanted to make Japanese taste Lanyards. Have a good day (* v *)!!!!! 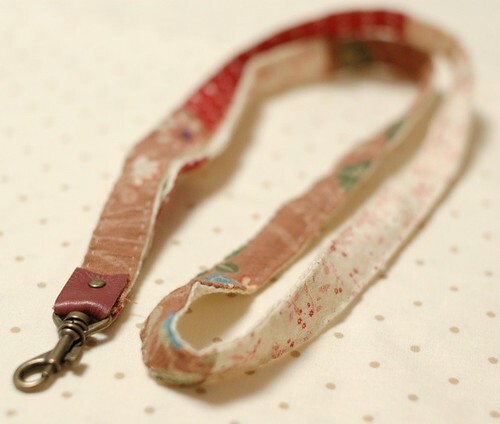 Dear Mai, i really like this patchwork lanyard! Makes such a nice bag handle! Thank you so much for making this tutorial..i wish i could also make this but right now im learning to make stamps. :) Love to you! Precioso gracias por compartír. Saludos. Dear Mai, I just found your blog two days ago, and I have fallen in love with your creativity and am so envious of your talent. The items that you make is simply exquisite!! I spent the last few days (whenever I am free) reading through all of your archives, and am enjoying every single moment of it. Thanks ALOT for sharing all your beautiful handmades and your very useful tutorials. They're not too simple at all. They're just beautiful, as is everything you do. Getting impatient to try everything you share with us. So many times I read your blog and thing ohhhh! what a great idea! 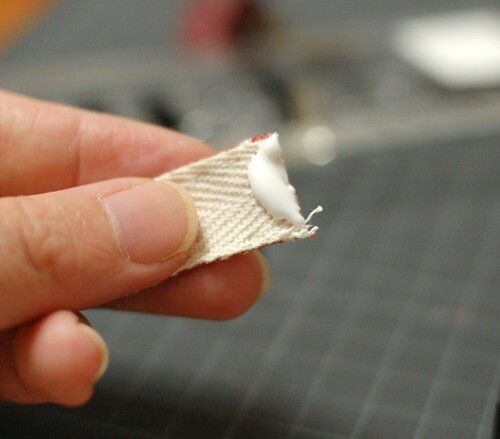 I have some cotton tape like you used, but never thought to put fabric on one side. Very nice! Mai-san, I have been reading your blog for some time. I just want to say, you are so creative! 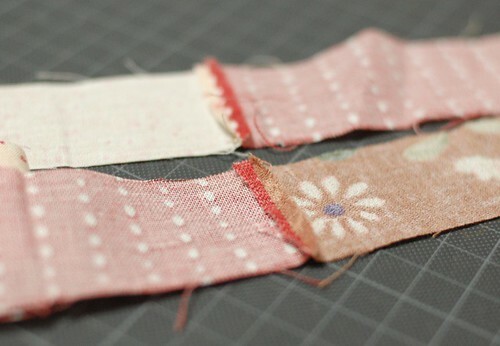 I wish I could sew like you :) Love your works! That is so, so sweet and pretty. So much detail and thought, I love it. I'll be linking. WOw, where fo you get the leather? And also the other accessories? Dear Mai, may you share the measurement of your rivet? Is that 38x15mm? It's 4.5mm diameter, 5mm long. It seems a little small for this strap. Hi Mai, I came across your blog a few days ago and I just love your creativity! Thank you so much for sharing your talent with everybody else. I also wanted to let you know that I've made a couple of your sarubobos and I've posted a link to your blog on mine :0)! where oh where do you find the swivel snaps? i cant find smallish ones anywhere! so long as you co ordinate the colours the patchwork look is truely unique and lovely. i wish i had known it was so simplistic i have just bought some promo lanyards with my company logo on them for my staff. if i had known i would have made them myself. This is Useful and good Blog about Lanyard. Thanks for Sharing this Post.